I am loath to disparage other motorcyclists. Riding is a small community, and yet there are certain transgressions that are unforgivable, and this happened today when Mo at EagleRider San Francisco put me on an unsafe bike that nearly killed me due to his neglect. Just as I had stumbled on the fabled Munroe Motors (Ducati San Francisco) last year while at Dreamforce, I wandered by a shop this year overflowing with Italian Motorcycles which turned out to be Desmoto. Last year after speaking at Dreamforce, I had rented a Ducati Hyper, and took off up the PCH on a trip that resulted in one of the best solo-motorcycling experiences I've every had. 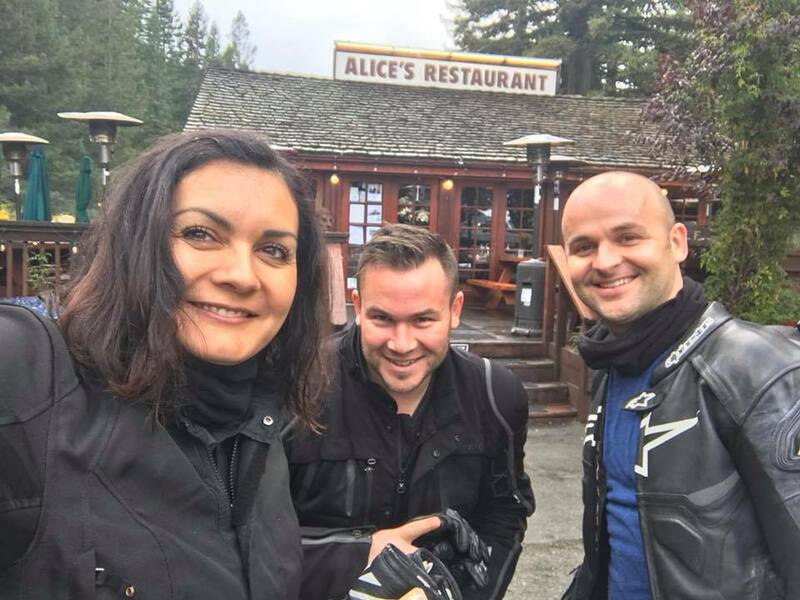 Last year, I had a quite a bit of awesome route guidance from friends who had lived or ridden the West Coast, but none better than from someone I had not met yet named Patty, introduced to me by a local friend Sandro, who helps to run DESMO on the East Coast.